RIO GRANDE VALLEY, TEXAS – In a small winery near Raymondville, bottles without formal labels line the wall. The tops are marked simply, with numbers written on red, green and yellow stickers. 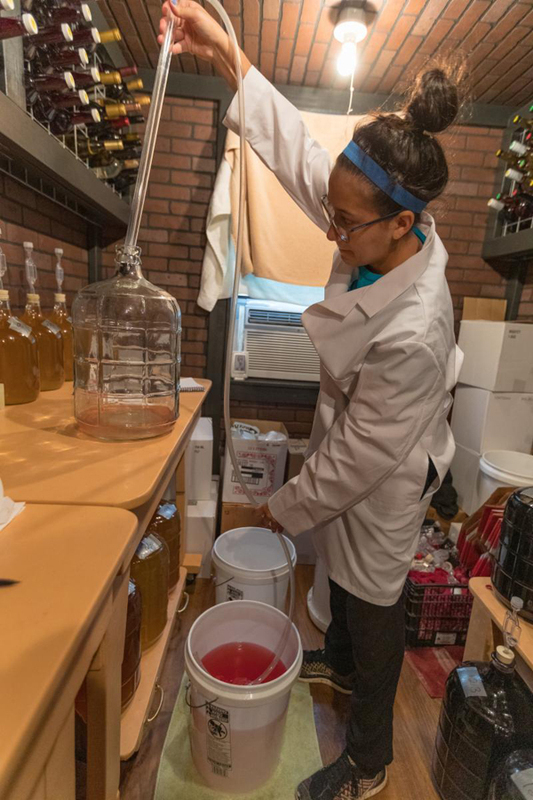 “We do research into wine-making and trying to determine how to make the best wines out of the grapes that can be grown here in the Rio Grande Valley,” said George Bennack, executive director of rural business development and co-director for the UTRGV Center for Sustainable Agriculture and Rural Advancement. “Here in South Texas and along the Gulf Coast region, there are only a few hybrid grapes that can grow without dying from Pierce’s disease,” Bennack said.